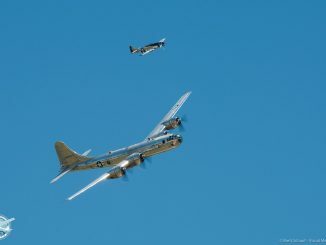 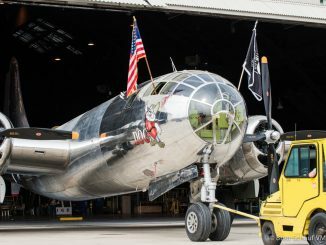 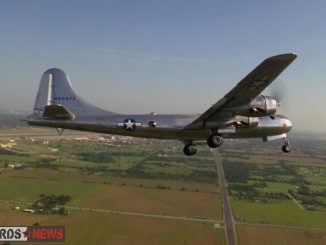 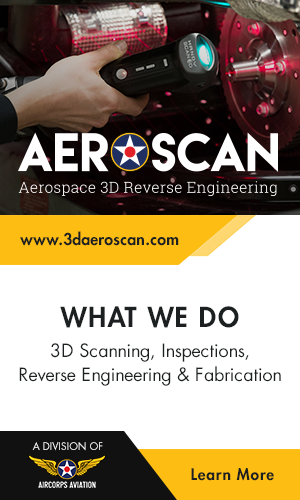 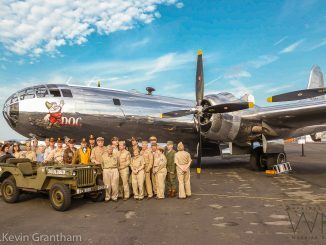 Doc’s Friends, the organization responsible for the restoration, operation and maintenance of Boeing B-29 Superfortress 44-69972 Doc, held a ceremony yesterday to ‘roll in’ the historic WWII bomber to her newly-constructed home in Wichita, Kansas. 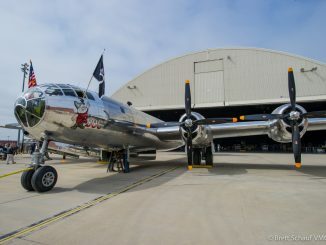 Doc’s Friends published the following press release this morning, and we felt our readers would be interested in learning more about the event. 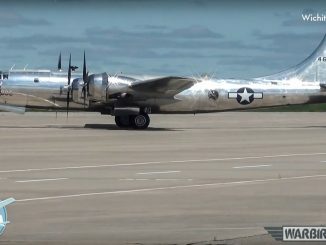 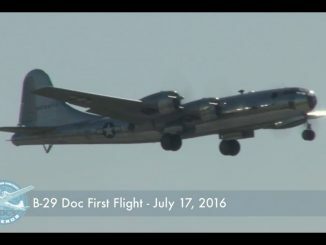 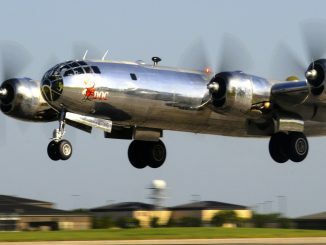 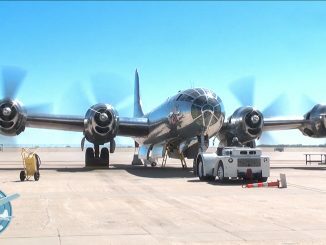 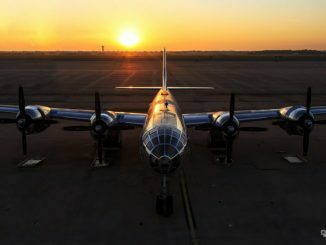 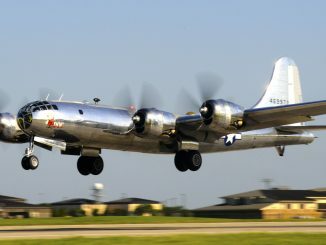 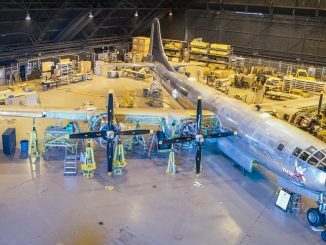 The B-29 Superfortress known as Doc has officially moved into its new home in Wichita. 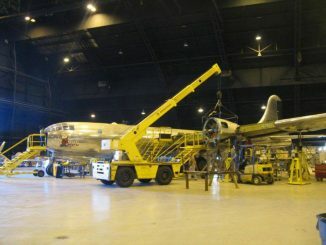 The new 32,000 sq.ft. 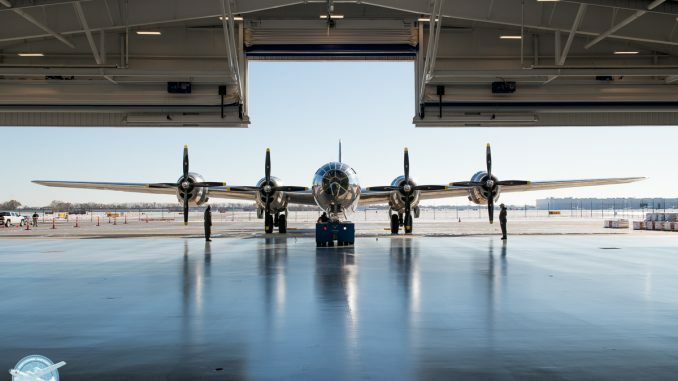 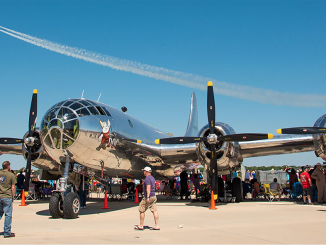 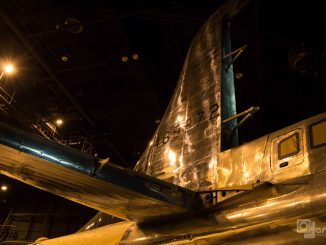 B-29 Doc Hangar and Education Center is located at Eisenhower National Airport and will provide the backdrop for Doc’s Friends volunteers to maintain and continue to operate the historic warbird. 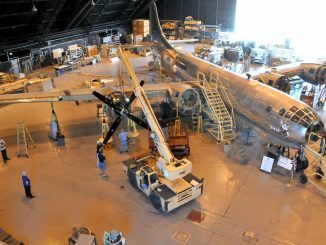 Construction on the $6.5 million facility began in November of 2017 and while the hangar and maintenance portions of the facility are completed, work continues on the education and visitors center portion of the project. 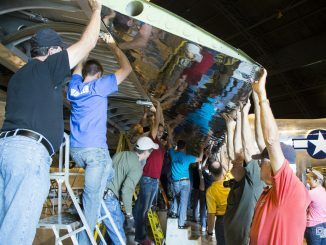 The work includes the need to to raise an additional $800,000 to help finish the education and visitors center. 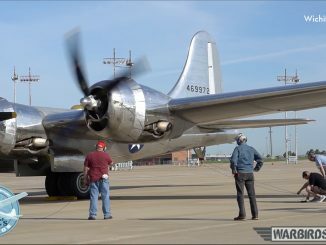 The Doc’s Friends maintenance crew will begin the scheduled winter maintenance activities for the warbird later this month. 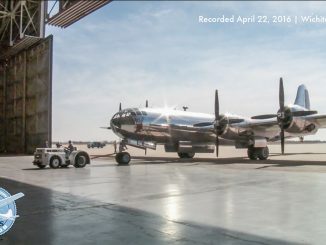 Construction and installation work for the education and visitor’s center is expected to be completed by the end of the year, pending additional funds raised. 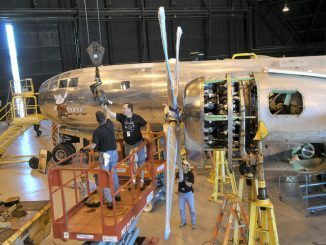 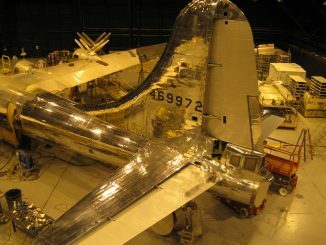 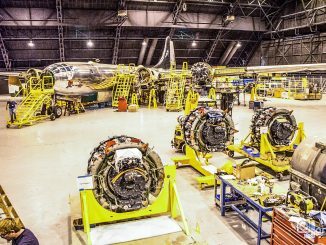 The B-29 Doc Hangar and Education Center is expected to open to the public in January. 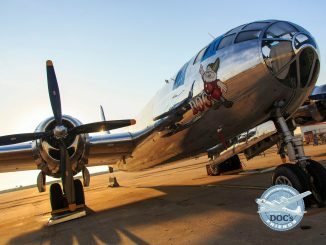 Meanwhile, you can still purchase a brick or granite paver to honor a loved one, or to simply say you’re a part of the Doc’s Friends family! 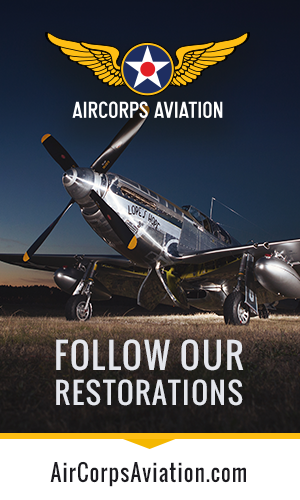 Click here to learn how you can get involved today! 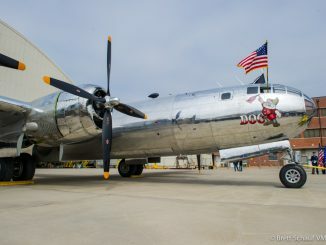 The bricks and pavers that have already been ordered are on site and will begin to be installed this week at the hangar location.